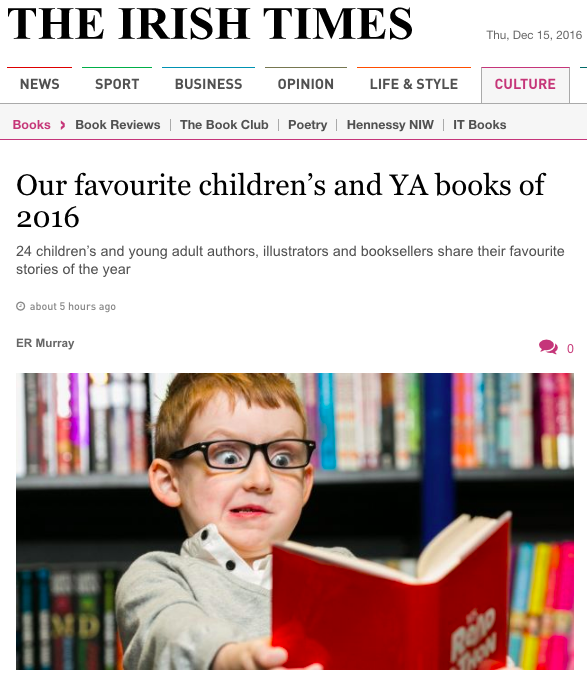 Home » News and Stuff » Uncategorized » Irish Times Favourite! 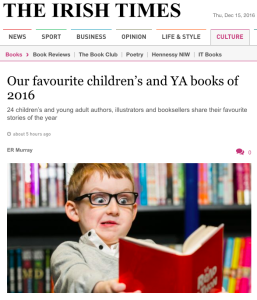 I had a fantastic early Christmas surprise when I found out that The Great Chocoplot had been chosen by The Irish Times to be one of their favourite children’s books of 2016! I’m extremely flattered to be amongst some amazing books and very grateful to fellow author, Kieran Fanning (who wrote the brilliant The Black Lotus) for choosing my book as one of his selection. I’m certainly feeling all Christmassy after reading those lovely words. Thank you Kieran. ← Chocolate Crisis Hits the Czech Republic!! !